Google, Apple, Facebook, Uber, Airbnb, Lyft, Tesla, and YouTube are among those weighing in. When it comes to the political sphere, the business sector plays an obvious role. After all, the decisions made in the halls of government have an impact on the ways businesses operate. But several tech firms are inserting themselves in a new issue simply for the humanity–or lack thereof–behind it. For those unfamiliar, the US government has instituted a zero-tolerance policy on foreigners entering the southern border of the country with children. There’s a lot of confusion online, much of it on both sides of the issue: yes, the policy that allows the government to separate children from their parents is several presidential administrations old, but was established to fight the epidemic of human trafficking. 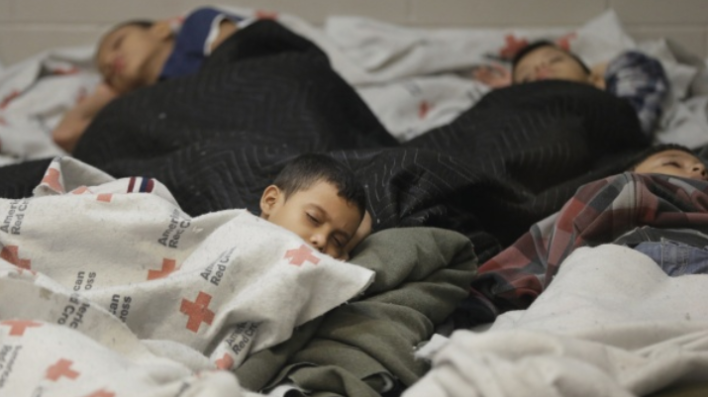 The current administration has admitted that the new 100% enforcement of this policy–to take every child away from every person attempting to enter, regardless of asylum seeking status, and detain them in separate parts of the country–is to serve as a deterrent to seeking refuge. Basically, if you come here, you will forfeit your children and they will be locked in detention facilities without due process, regardless of their age, medical status, or asylum status. So what can the tech industry do about it? The tech giants are weighing in, some of it sparked by employee outrage and others by the heads of the companies themselves. Microsoft may have been the first to take issue, as a Microsoft product was being used for the record-keeping. Over 100 employees signed an open letter to their executives, condemning the government’s actions and asking the company to take a visible stand against it. It’s not hard to see why they feel invested; employees who worked hard to develop Azure don’t want it to be used for harm, and certainly don’t want their names associated with the atrocity. Top leaders from Google, Apple, Facebook, Uber, Airbnb, Lyft, Tesla, and YouTube, among others, all issued their own condemnation of what’s happening in the US. Some even made large donations to organizations that are fighting the policy and providing aid to these young victims. But there’s something lacking: official status. It’s one thing to answer a question at a foreign press conference or fire off a short tweet. It’s something else altogether, though, to issue a formal and official company statement then to issue an ultimatum like a ban on government officials using their products or services. For obvious business reasons, these companies and many others have been reluctant to take their outrage too far.